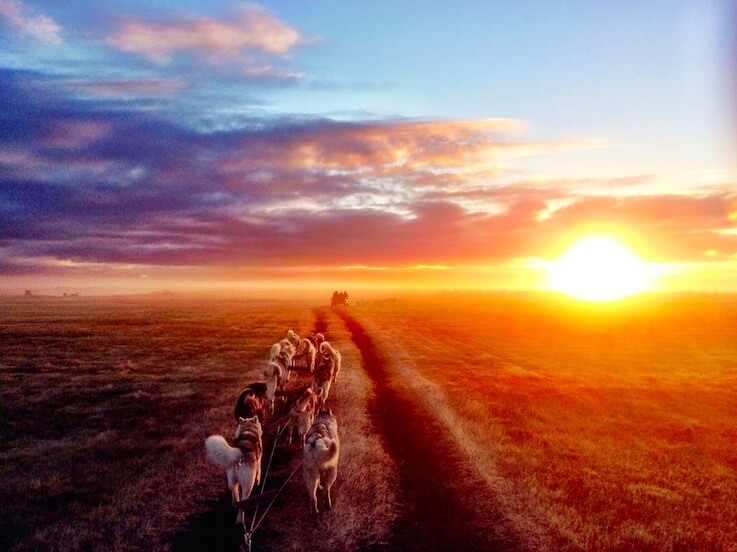 Your real Icelandic adventure begins with a dog ride. 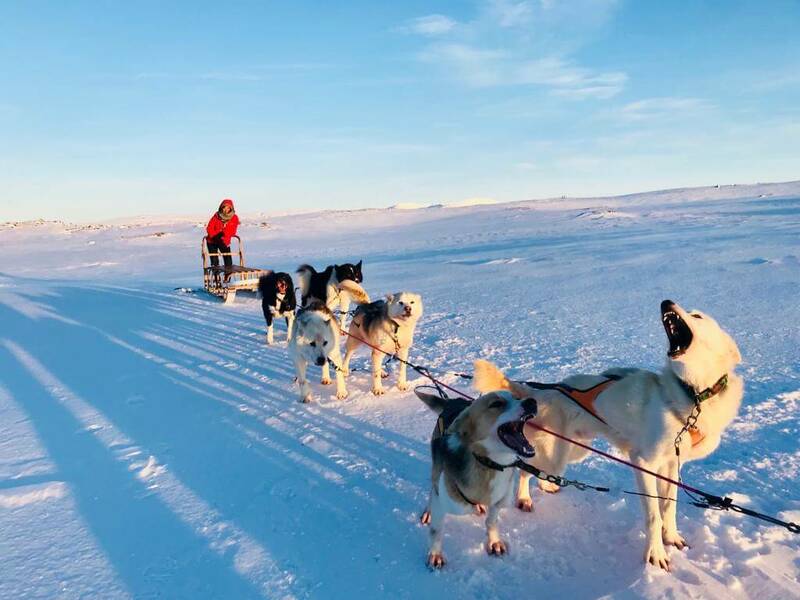 Feel the power, excitement, and energy of our amazing sled dogs as they are harnessed to our comfortable wheeled sleds. Bring with you: Warm water-proof out-door clothing. Adequate shoes to walk on the wet surface and a camera. Duration: 3-5 hours total. Pick-up time is 2 hours before the husky ride (time shown in the calendar). 45-minute dog ride including a photo break. Time shown in the booking system is the time of the husky tour. Pick up starts 2 hours before the time of the tour. You will be picked up at your residence location two hours before the tour starts. You will be driven to the countryside where you will be able to observe Icelandic nature and hear stories from your guide. 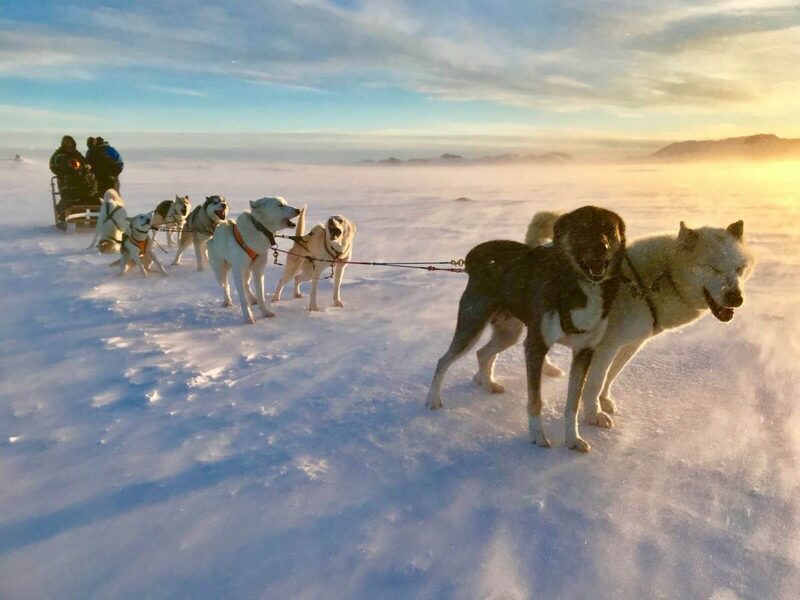 Experience an exciting 45-minute real dog ride, meet the dogs and listen to stories from the trail. 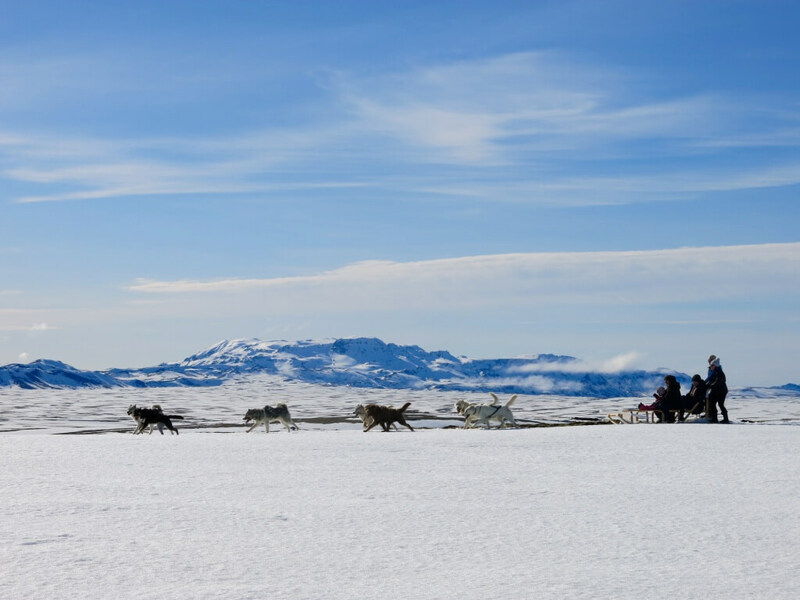 When the dogs get hitched up, your musher guides the dog team through the field, emerging into a place surrounded by Icelandic nature. Your guide will explain how we train and steer the dogs. Halfway through the tour, we will take a break for you to take pictures with the dogs and offer them a good belly-rub. They all are super friendly and love to be stroked. To be one of the highlands of your vacation, it is a must for all visitors to the “Land of Ice and Fire”. 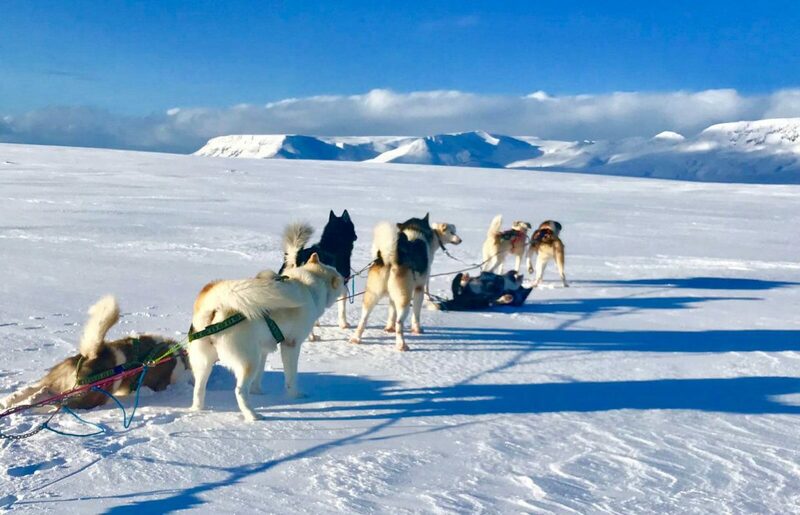 Experience an exciting 45-minute real dog sledding ride in Iceland, meet the dogs and listen to stories directly from the dog travelers. 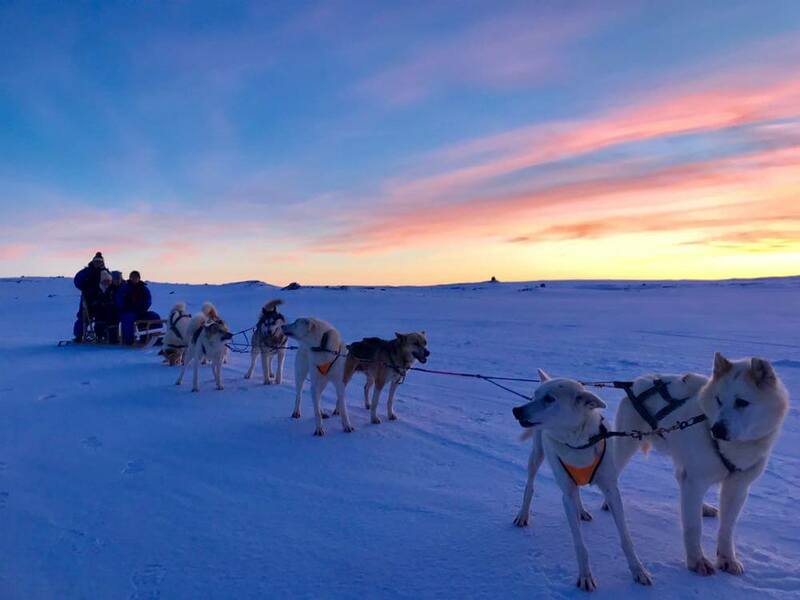 Dog sledding tour and visit our Un-chained Siberian Husky Kennel at our farm Heiði, Lake Mývatn, North Iceland.